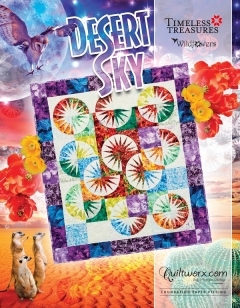 Desert Sky is made using a selection of bright and dark fat quarters making this a stash friendly quilt! Template Layout sheets were designed and provided with these instruction to speed up the cutting process, allowing you to stack and cut your fat quarters in two groups of nine fabrics. 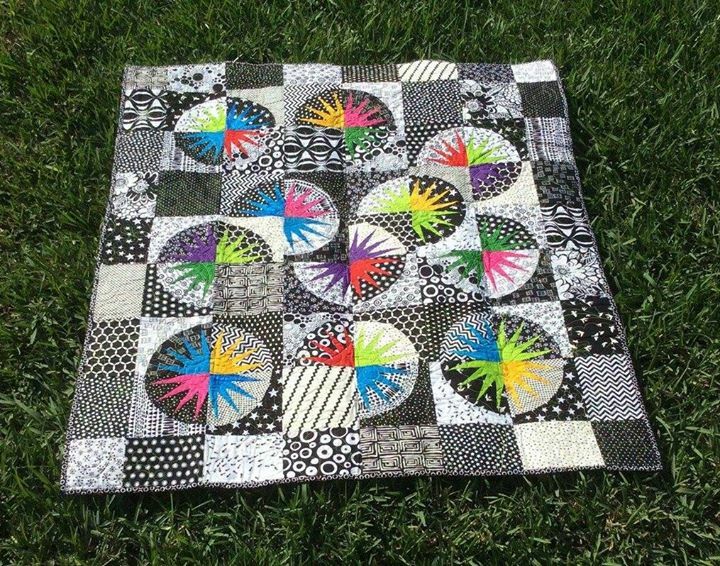 An even amount of yardage is needed for each color. This small wall hanging is definitely one to add to your collection. The skill level ranges from beginner to advanced. 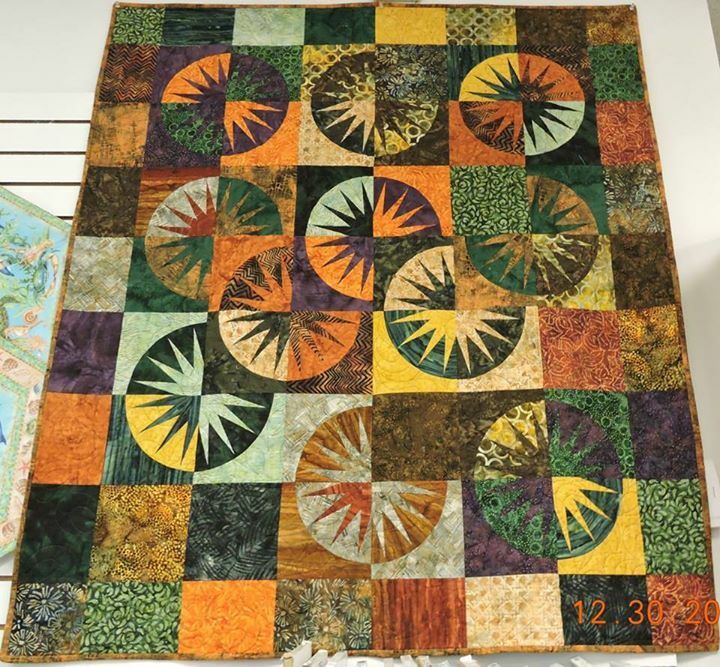 To make a Twin Size Quilt, you will need 1 extra foundation package. The layout could either be 9 x 12 (68” x 87”) or 9 x 13 (68” x 93”). 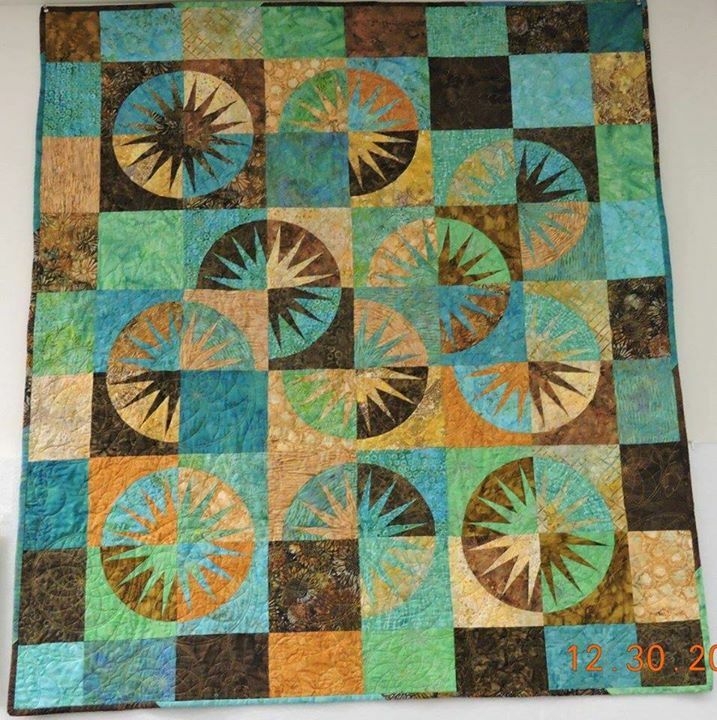 You will need 10 additional solid squares to complete the layout to those required in the original pattern. To make a Queen Size Quilt, you will need 2 extra foundation packages. The layout could either be 12 x 12 (87” x 87”) or 13 x 13 (93” x 93”). 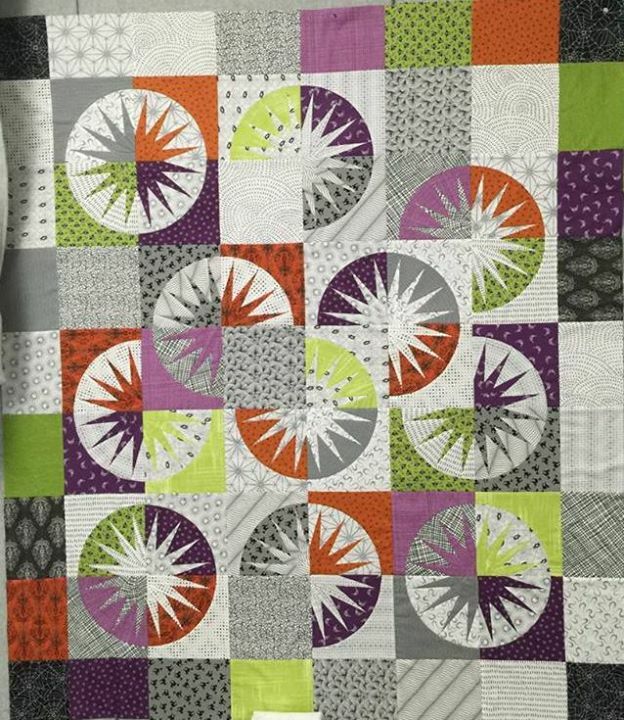 You will need at least 15 and up to 20 additional solid squares to complete the layout to those required in the original pattern. To make a King Size Quilt, you will need 2 or 3 extra foundation packages. 2 packages and 30 additional solid squares will get you to (107” x 107”), a 15 x 15 block layout. If you don’t want 30 solid squares, you will need to purchase a 3rd package.